Although employees submit expenses one by one in real time (no more reports!) 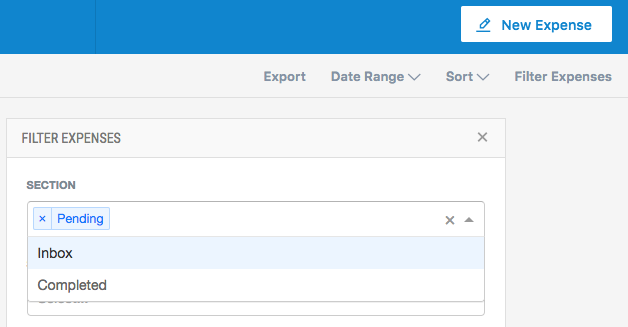 Admins can use our powerful filter tools to drill down to the expenses you want to approve in bulk. 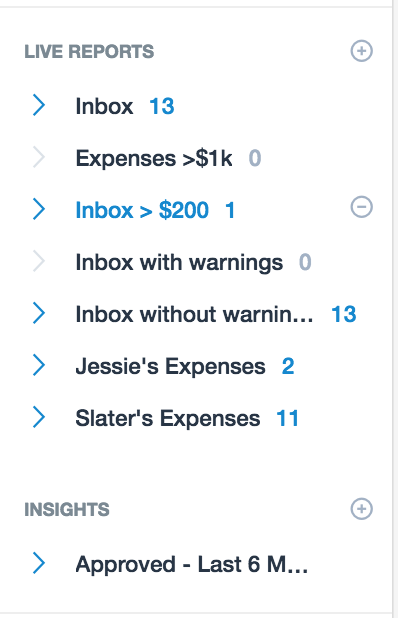 Once selected, you'll note that clicking down arrow allows you to review expenses by category, user, or any team fields you've created. 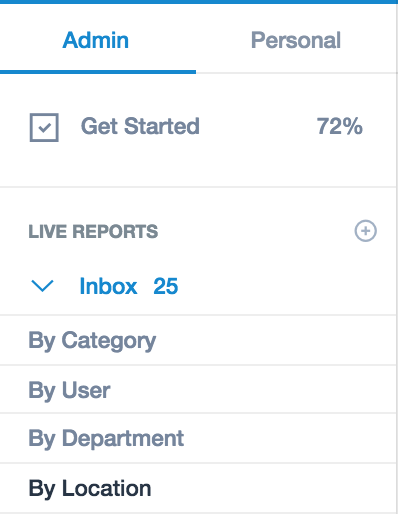 Within Live Reports, you'll note that you can now click the "+" button to add your report. 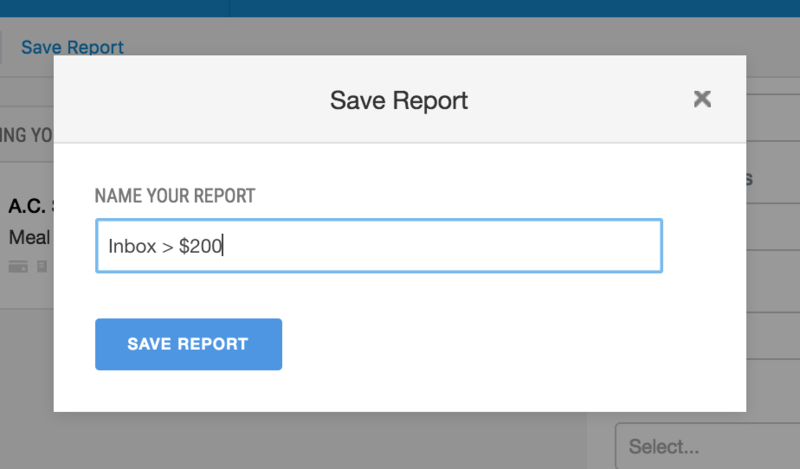 After selecting your filters, you can select "Save Report." 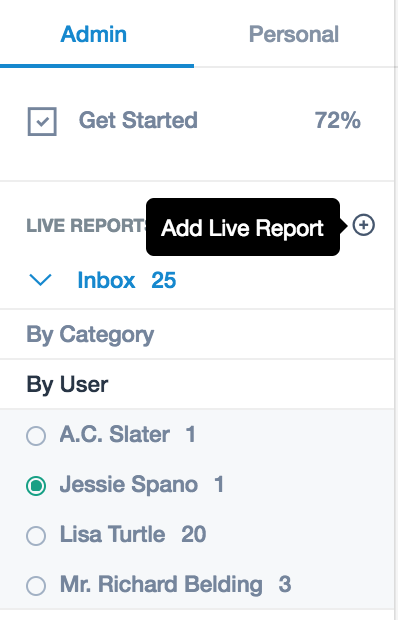 When you navigate to the "Live Reports" tab, you'll find the new saved report. 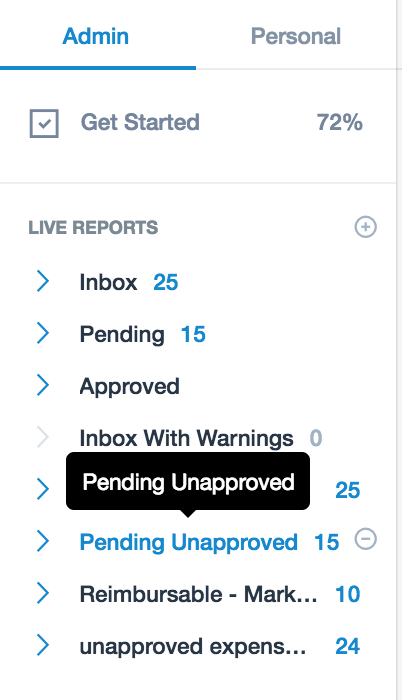 The image below displays a saved report, "Pending Unapproved." 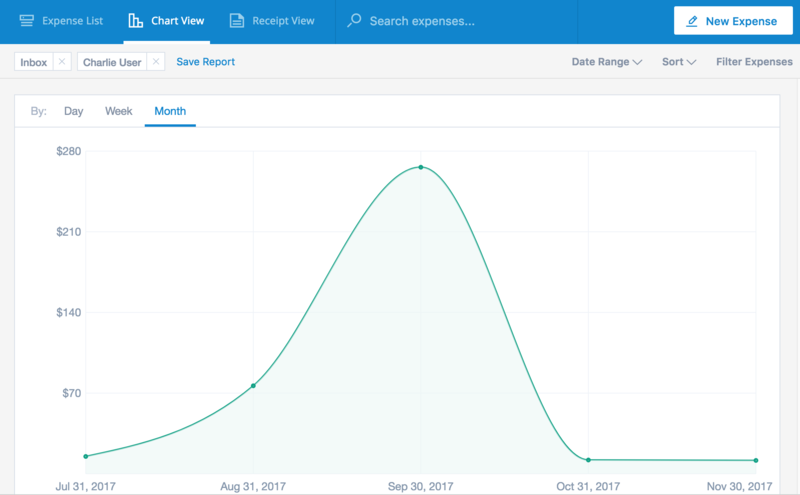 You can also use our "Filter Expenses" tool to slice and dice your expense data in many ways, view your data in chart form, and export your search results to CSV or PDF. Your current list of available filters will expand, and by default have the section "Inbox." You can remove this filter by clicking on one of the other sections in the dropdown or clicking "x" next to the filter. These Live Reports are specific to your account. 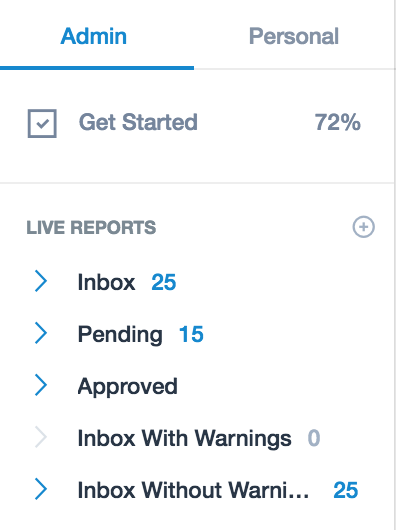 Each admin in the account can customize their list of Live Reports. 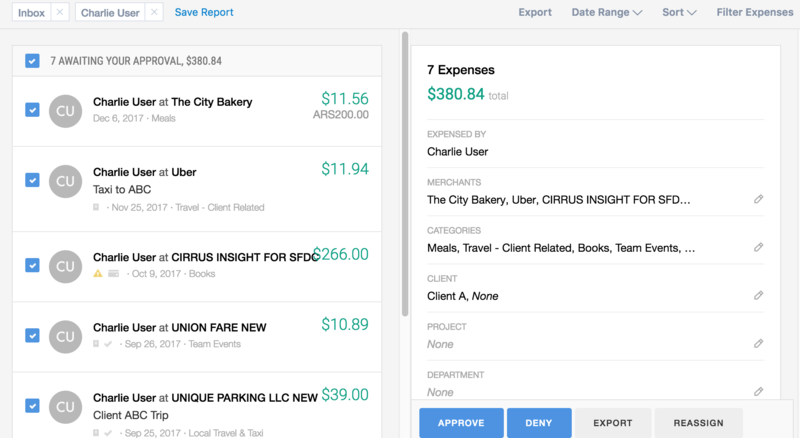 1. Review that feed of expenses (click through them and see each in detail). If you want to approve these in bulk, you can also select all of the expenses and then approve them all. If your search results in more than 30 results, click the option to 'select all expenses that match this search.' This will allow you to Approve, Deny, Export, or Reassign in Bulk. 3. Export that data to a .CSV or a PDF via the Export button (also in-line with the search bar). Our reports are a great way for you to get the raw data and preserve it off-line or share it with a third party. Read more about Exporting Reports here.